Allied Travel Careers (ATC) helps rehab therapists discover the satisfaction of a travel therapy assignment. 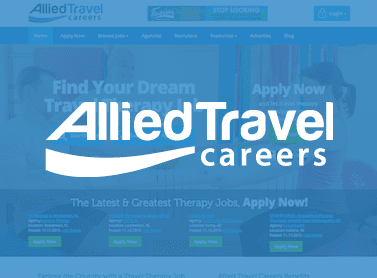 From surgical technicians to physical therapists, Allied TravelCareers connects rehab professionals to rewarding travel therapy opportunities. Agencies are able to promote their openings to a wide variety of active allied professionals throughout the country.